I have to admit, I’ve never quite understood the logic of people who set their watch to the wrong time deliberately, and then know that their watch is fast and isn’t the correct time. Don’t you just compensate in your head and therefore defeat any benefit you might realize by having it a few minutes fast? Well, be that as it may, the surprising thing is that your Apple Watch can indeed be set to run a few minutes fast and still actually keep track of the correct time. Yes, clearly there are people at Apple HQ who have the same approach to time and time management, so you’re in luck! Even better, it’s all something you can change and adjust on the Watch itself! Now tap on Settings (the gear icon). 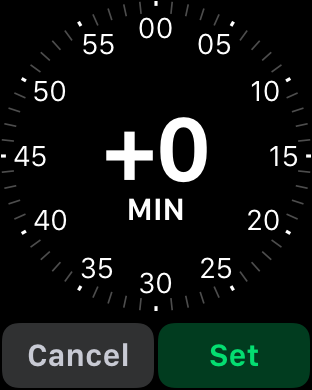 Lots to check out here if you haven’t been to this area of your Apple Watch’s WatchOS 3.0 view before, but for our task, simply tap on Time to proceed. 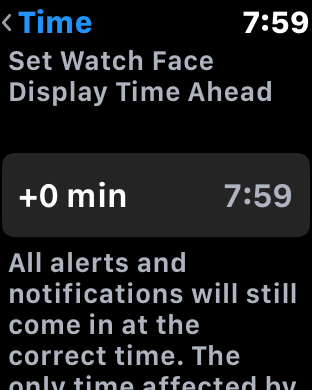 In other words, if you have an alarm set for 8:00am and adjust your Apple Watch to be running ten minutes ahead, the alarm will be triggered when it’s 8:10am on your watch face (though actually still 8:00am). Got it? 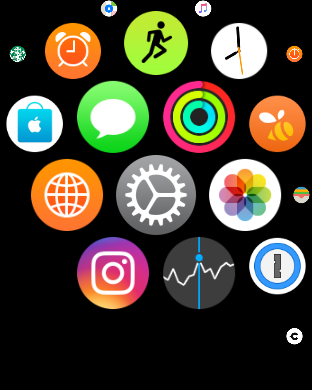 Notice on the lower right that there’s an override on the Watch face that shows the correct and actual time (8:00am). Still, at a glance, it’s 8:05 and you’re late! Good luck. This is definitely a set-and-forget sort of thing, so let us know how it works for you!